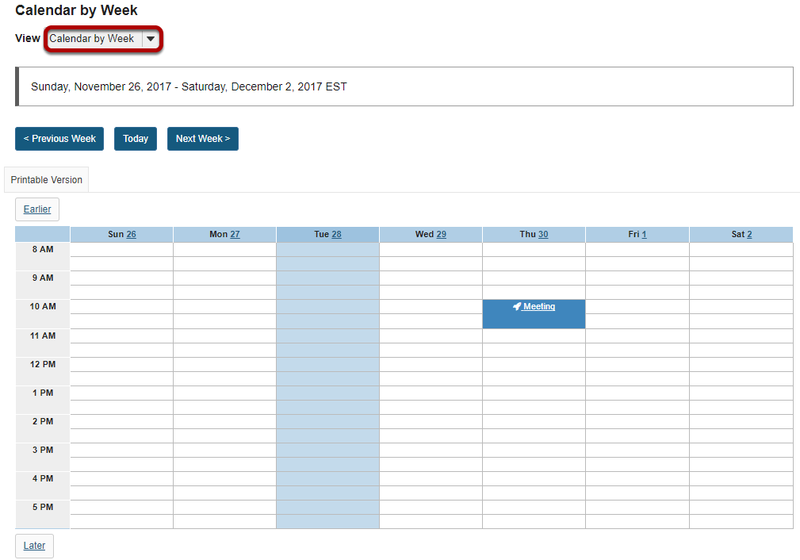 Sakai Community DocumentationSakai 19 User Guide (English) CalendarHow do I change the Calendar view? In Calendar, you can view your calendar by day, week, month, or year. 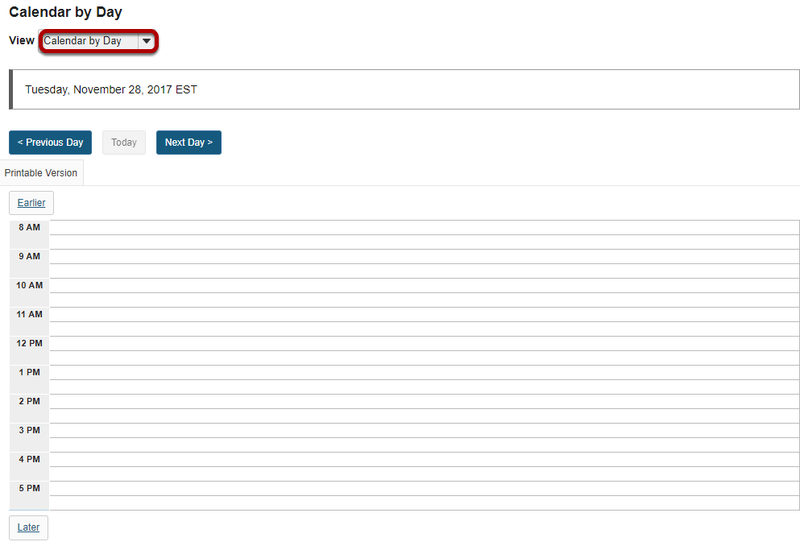 You can also set the default view for your calendar. Select the desired view in the drop-down menu. The item details will display. 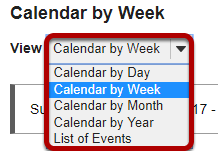 Note: When viewing the calendar in list format, you also have the option to select a custom date range and filter events by start/end dates. 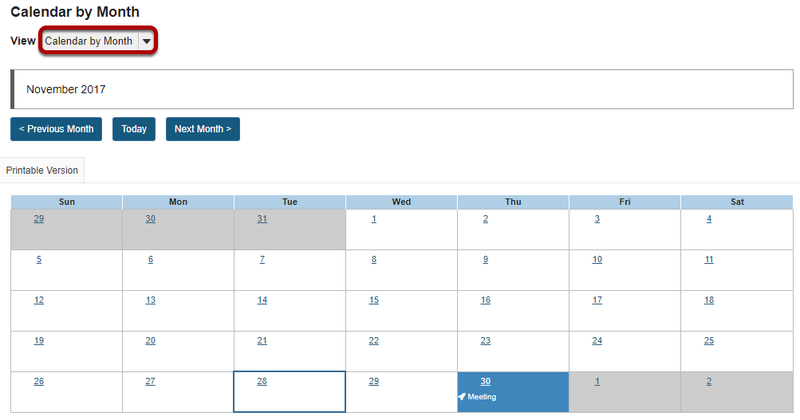 Set default view of calendar. If you have a preferred view (e.g. 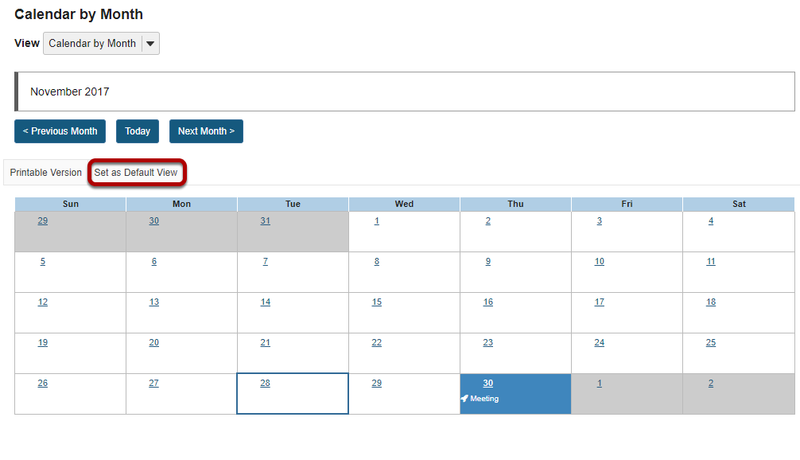 monthly view), click the Set as Default View button while viewing the calendar in your preferred view. 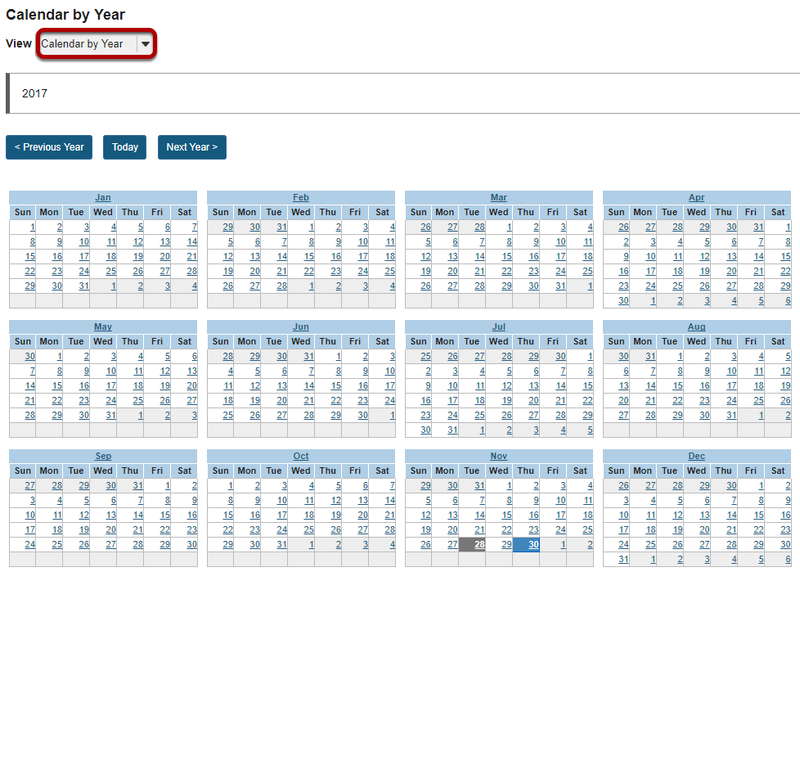 Prev: How do I view calendar item details? Next: How do I add items to the Calendar?